Today I had the privilege of heading to the 2011 Brochure swap and tourism event at the Seaforth & District Community Centre. Basically what happens is a great number of business owners come and display their brochures, showcasing what they have to offer, events they have planned, etc. Everyone gets a chance to talk, network, and learn about each others business. It was really an interesting day. It started off with a guest speaker that broke down tourism in Huron County, demonstrating how we could improve, where we thrive and how we can have towns combine ideas and work together to increase tourism, and ‘staycationing’. I really enjoyed this because it gave me some perspective on places I was not quite as familiar with in the county. I have had every intention of traveling more with this blog, but with unfortunate weather I have not been out as much as I had hoped. I also was rather unsure of where I should be visiting, I mostly planned on just chancing it and going wherever the wind blew me :). However, after this event I feel I have a much better grasp on where I should go next. In fact, I am really looking forward to visiting some towns and discovering what they are known for! So be ready my friends, I am going to spice things up in the next month and really begin showcasing what Huron County has to offer that I am not even aware of yet. I cant wait to discover more, because what I have discovered this far I LOVE, and it can only get better! 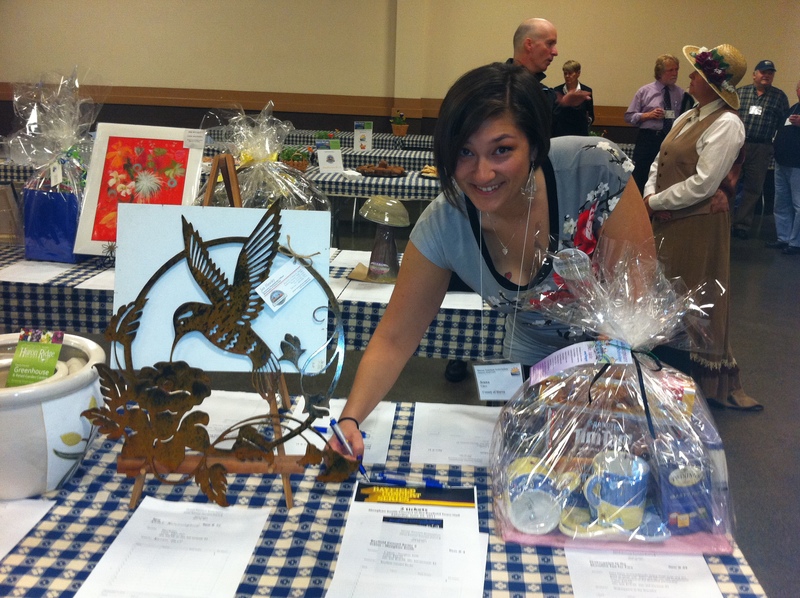 This picture is of Jenna setting up the amazing silent auction that was at the brochure swap.